International students who have recently completed secondary school studies off-shore (not in Australia). You must not have commenced further studies. You must have applied for admission to the University. More information about admission is available here: http://studyat.anu.edu.au/undergraduate.html. You must submit an application via the online form available on this web page by the closing date. All students who apply for admission through UAC, will be automatically considered for this scholarship – no application is necessary. Academic merit. However consideration may also be given to country of origin and/or program of choice. Below is a brief guide of the minimum senior secondary scores expected for applicants to be seriously considered. All India Senior School Certificate (AISSC): 20. 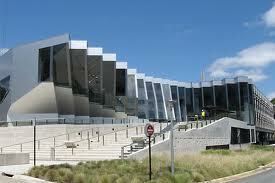 Australian Tertiary Admission Rank (ATAR): 99.60. Hong Kong Advanced Level Examination (HKALE): 20 (4A). Indian School Certificate (ISC): 99. Sijil Tinggi Perskolahan Malaysia (STPM): 25. UK or Singapore General Certificate of Education (GCE A Levels): 24 (4A*). Qualifications not listed above will also be considered. Please note that achieving the results listed above does not guarantee an offer of a scholarship. Please also note that this scholarship is extremely competitve, and only qualifications equivalent to an Australian Year 12 will be considered. Please complete the application form for Semester 1 2013 which will open 27th August 2012. Applications for Semester 1 2012 will close November 30 2012. Demikianlah artikel mengenai ANU International Undergraduate Scholarship, Australian National University, Australia Semoga Bermanfaat Bagi Anda.